Le Chef is 3 years old! At this very special occasion, please visit the brand new ski station right here in Vulcan Lane. We heard it's going to snow pretty hard in Vulcan Lane on 31st August, so come equipped ! Don't forget your ski hat, your gloves and ski suit. Oh and you're back in the 80's. So vintage is the word. 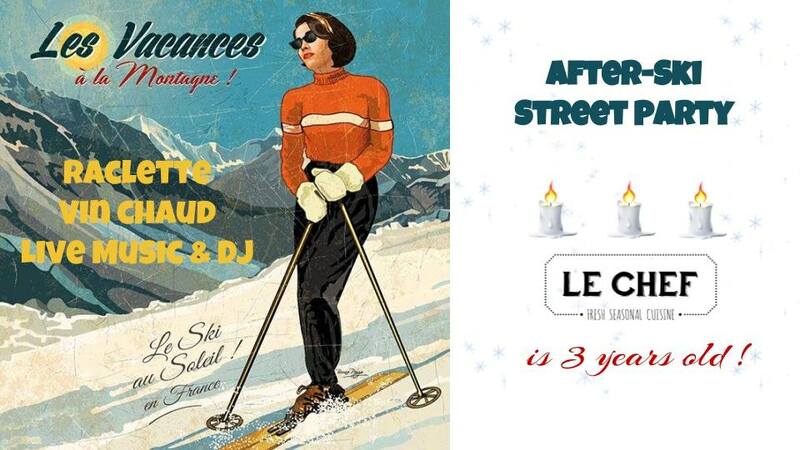 Fresh raclette on the spot, come and play in the snow with your bestie.